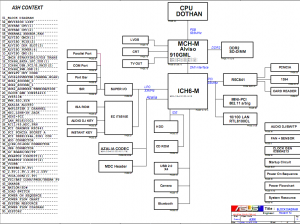 The schematic diagram for Toshiba A100 laptop. The schematic diagram for IBM ThinkPad T43 laptop. The schematic diagram for acer Aspire 4315 Series, Aspire 4715 / 4715Z Series laptop. 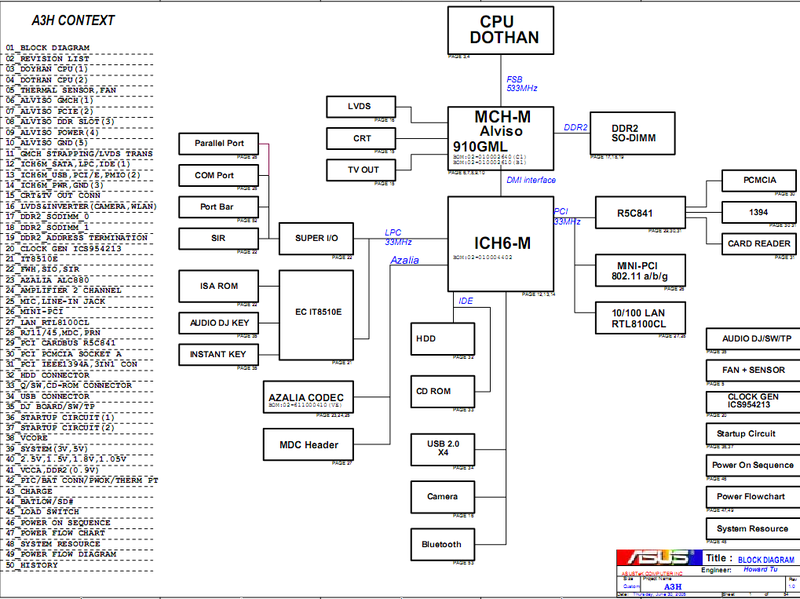 The schematic diagrams for ASUS A6Jc/m laptop, Nvidia G72M-V. The schematic diagrams for ASUS A6J laptop. The schematic diagrams for acer Aspire 4230 and acer Aspire 4530 laptop.